The late Mercy Wanjiku Muthui and her German husband Daniel Erhardt. The family of a Kenyan musician who was found dead in a ditch in the Netherlands is suspecting foul play. 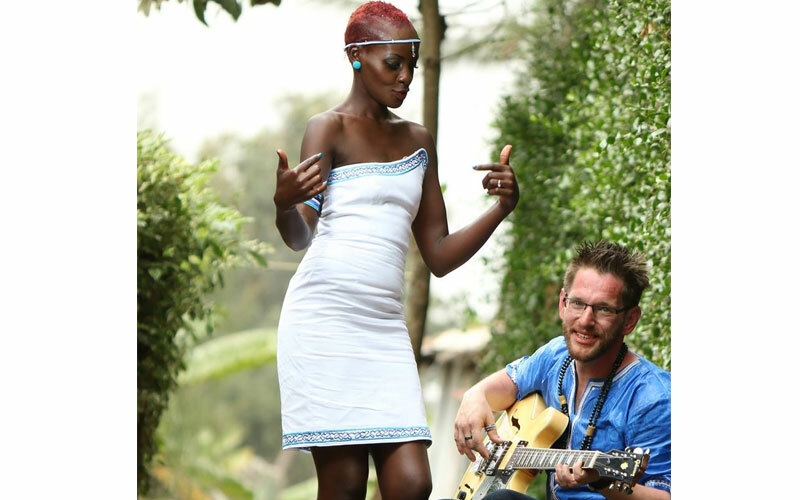 32-year-old Kenyan musician Mercy Wanjiku Muthui is said to have been found dead in a ditch near their home shortly after her husband Daniel Erhardt reported her missing. Police detained Erhardt following suspicious circumstances surrounding Wanjiku’s death but he was later released. On January 13, Wanjiku’s family was notified of her death through a call from the Foreign Affairs Ministry, informing them that her German husband had told police she had committed suicide by drowning herself in a ditch. Following her death, the husband went ahead to cremate Wanjiku despite objections from her family. Wanjiku’s sister Bilha Muthui said that they suspect foul play in her death. Following a failed attempt to raise the funds, he contacted the family on January 30 saying he had opted to cremate Wanjiku’s body. Wanjiku had stayed in Netherlands for two years following a colourful wedding in Nairobi on August 3, 2016. The couple had a five-month-old son together.